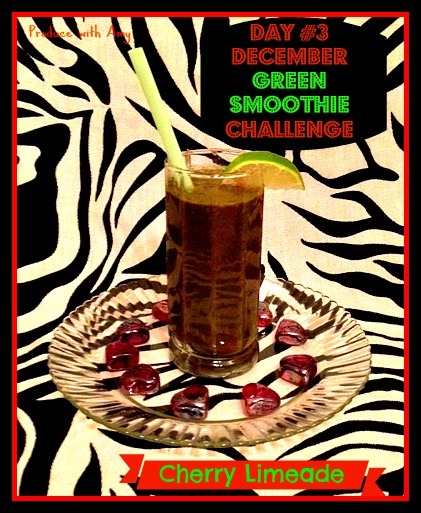 First off, I want to thank you for joining me in the December Green Smoothie Challenge. 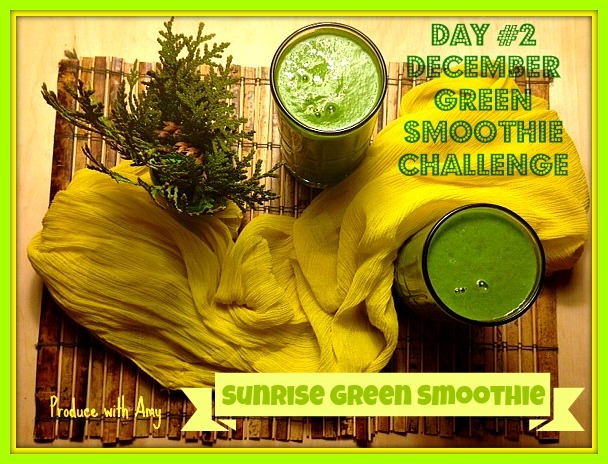 The goal of this challenge is to have one green smoothie a day (either for breakfast or another time during the day). We will be incorporating more nutrients into our diet and together we will stay accountable and share recipes and ideas. 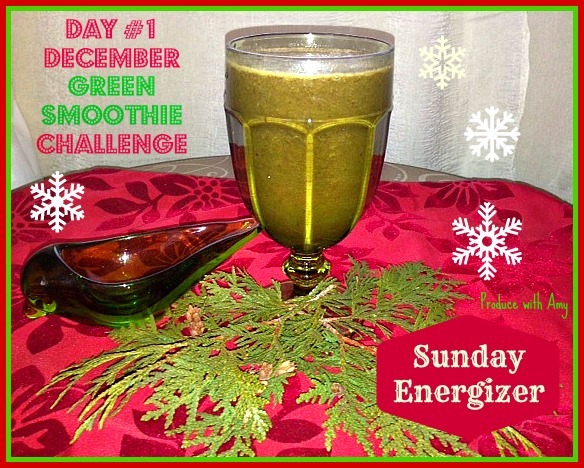 This is not a fast but a way to increase our intake of greens and fruit. All you need is a blender (I used a regular blender for three years before I invested in a Vitamix) and the desire to be healthy. 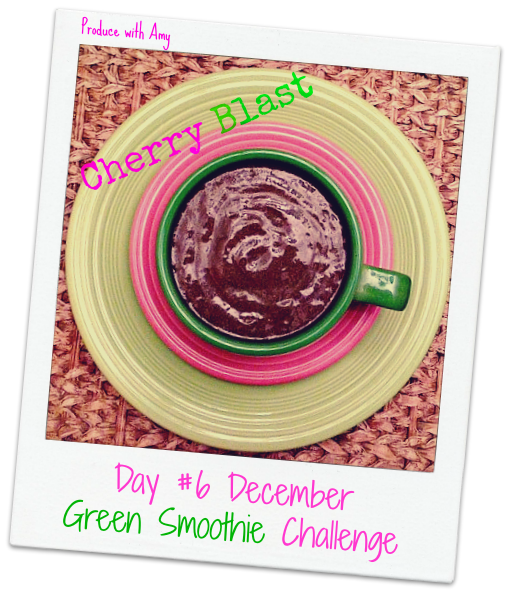 To those who are new to green smoothies, my recommendation is always to start simple. My first one was spinach, banana, strawberry, and water. Spinach is naturally sweet and you won’t believe how good it tastes. A frozen banana is key because it gives the smoothie sweetness and makes it creamy. I buy a couple bunches of bananas a week and when they get ripe I peel and toss into a bowl or bag in the freezer. Experiment with your favorite fruit. I have tried tons of different combinations and often tossing in what I have on hand. Frozen fruit works well and makes the smoothie cold (though you can add ice as well). 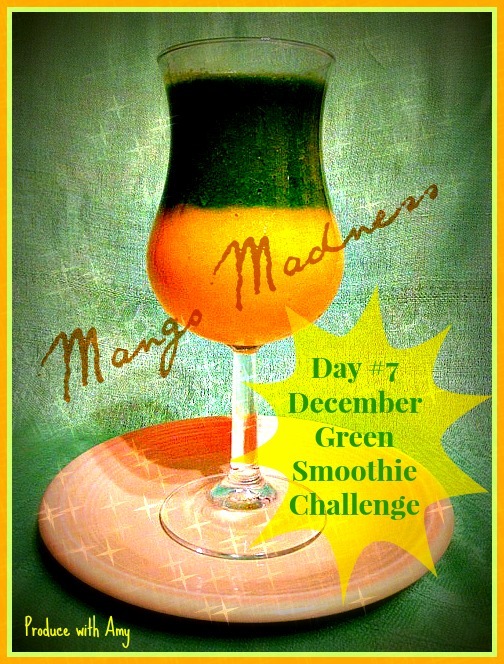 For this challenge I will come up with recipes that you can follow if you would like. Please feel free to experiment with other combinations and please share your favorites in the comment section or on my Produce with Amy Facebook Page. 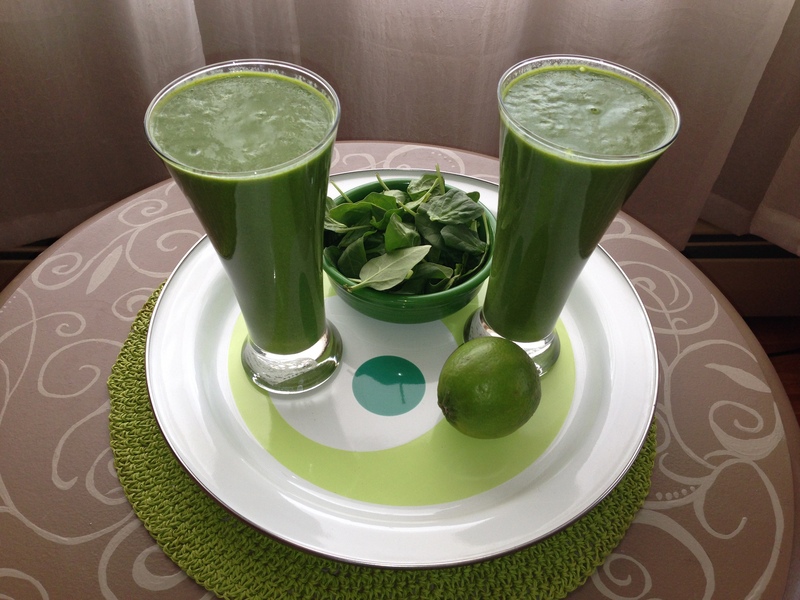 I’m a green smoothie “purist” and normally stick with water, fruit, chia seeds, and greens. The chia seeds make it filling and are a great source of calcium, protein, and Omega-3.Though, many of my Weight Watchers members add yogurt, milk and dairy-free milks, and even healthy oils to their green smoothies to help meet their Good Health Guidelines. The smoothies are a great way to fortify your iron and breaking down the cell walls of the greens makes it easier for our bodies to absorb the nutrients. My husband Mike and I both drink one for breakfast and find them really filling and satisfying. I love them and I think they give me an important boost of energy in the morning! If you do not enjoy the listed fruit or berries, substitute them with your favorite. 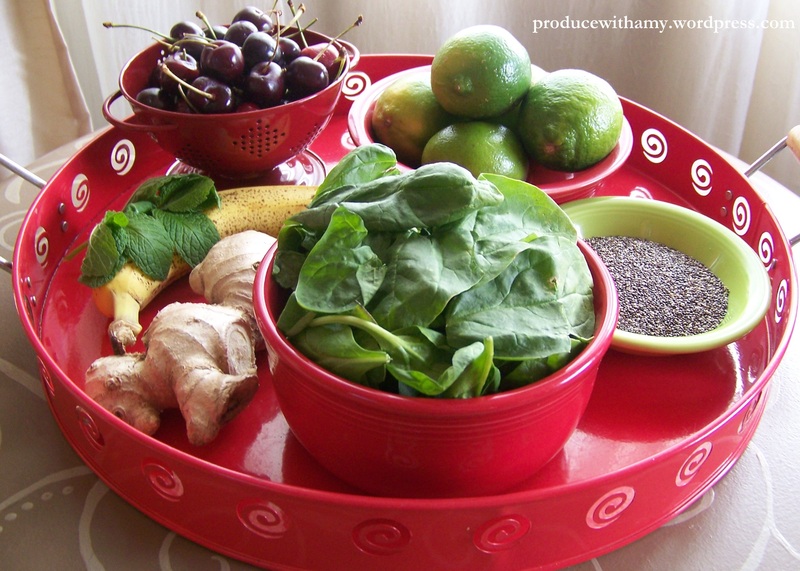 The amount of fruit and greens that you put into each smoothie will vary depending on your personal taste. I always recommend that those who are new to green smoothies should add just a small amount of greens at first and go heavy on the fruit. 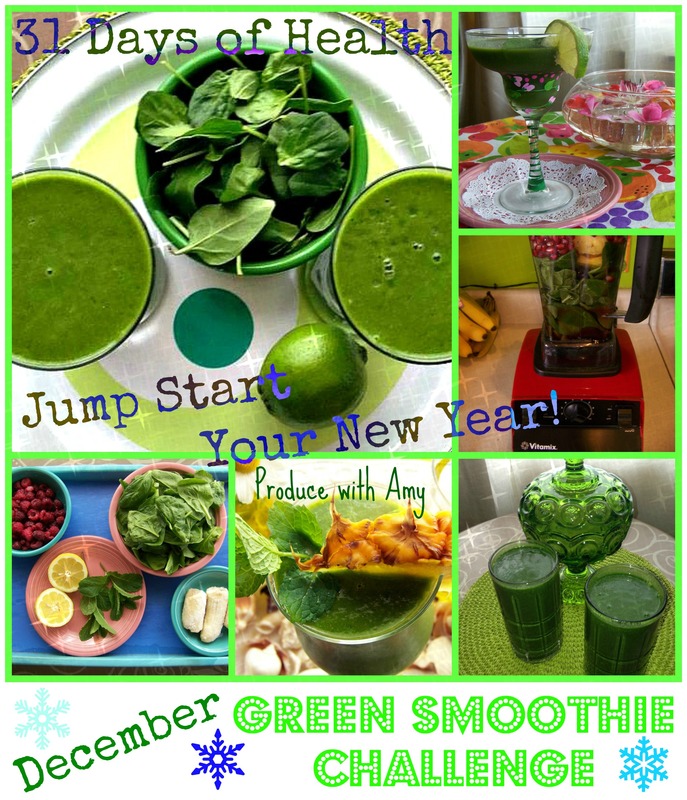 You will find that the more smoothies you drink the more greens and less fruit you can start blending. 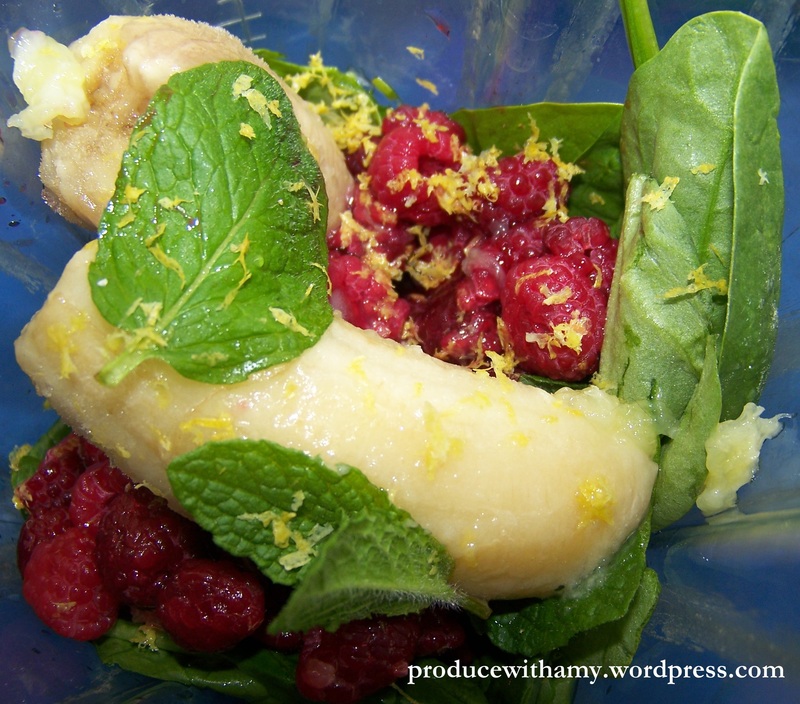 If you prefer more fruit in your smoothies you may find yourself running out during the week. You may want to purchase extra “just in case.” When I first starting drinking green smoothies I found that bananas were essential to giving the smoothie its sweetness (frozen are also best). If you do not like bananas (or have an allergy), you may want to add a touch of your sweetener of choice: dates, raw honey, maple syrup, or raw sugar). Spinach (3 ~ nine ounce bags of spinach) For the first week my plan includes just spinach. Week two I plan to incorporate other greens. 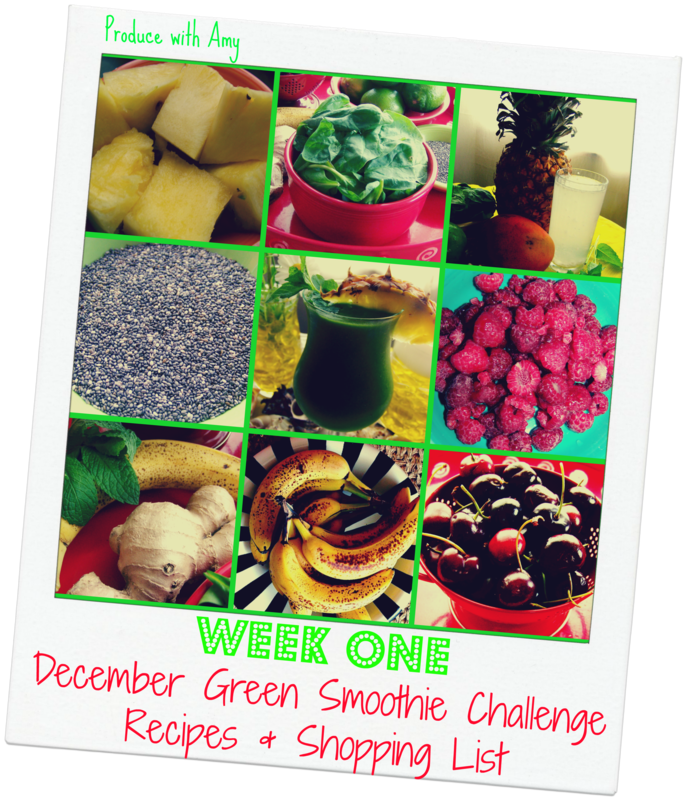 For those who are not a stranger to green smoothies, you may want to add in some other greens such as kale. WEEK ONE RECIPES. Each recipe should render approximately 3 CUPS of GREEN SMOOTHIE. They are so delicious you may want to make extra (or leave a little) for a mid-day snack. Printable recipes posted below. *If you plan on drinking your smoothies in the morning you may prep your smoothies the night before. You could even freeze ingredients in individual containers for the week. Sometimes when I know I am going to be in a time pinch in the morning I blend the night before and they stay fresh. For day #7 you may want to repeat one of your favorites from the week or toss in what you have leftover in ingredients from the week. Pin this blog post here. Please feel free to share this challenge with your friends and family. The more people involved the more ideas, tips, recipes, and inspiration we will all receive. 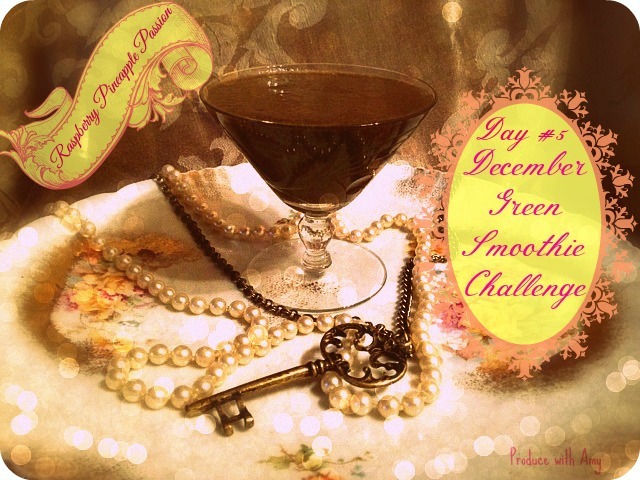 Starting December 1st, I will be posting a daily thread on my Produce with Amy Facebook page. Please like my page so you can join the conversation. Cheers to health and thriving in 2014! 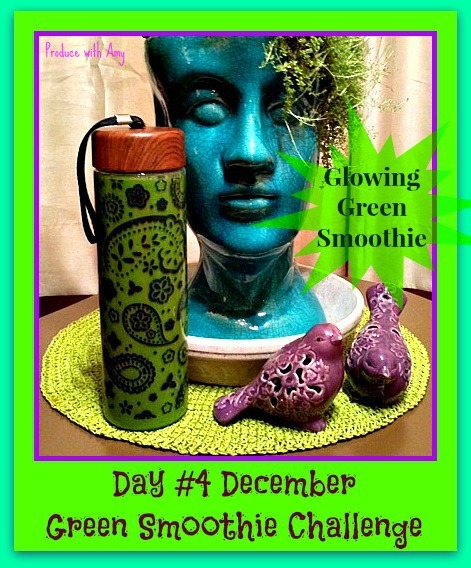 This entry was posted in Green Smoothies and tagged December Green Smoothie Challenge, Green Smoothie Recipes, Plant-Based Green Smoothies, Vitamix by Amy. Bookmark the permalink.